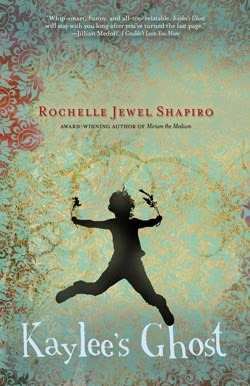 Rochelle Jewel Shapiro is the author of two novels, Kaylee's Ghost and Miriam the Medium, and a writing guide, I Dare You to Write. In addition, she works as a phone psychic and teaches writing at UCLA Extension. She lives in Great Neck, N.Y.
Q: How did your own experiences as a phone psychic affect the writing of Kaylee's Ghost? A: All the clients in Kaylee’s Ghost are fictional, but reading it, you get a chance to see what my life is like as a phone psychic. Miriam Kaminsky, my psychic heroine, deals with everything that every woman does—errands, chores, family brouhahas, but when her business phone rings, she’s in another zone. What is different about Kaylee’s Ghost is that it’s the only novel about a psychic actually written by a psychic, so you can see how visions arise in her mind. Just like me, Miriam will often be able to see the caller without benefit of Skype. Images, scents, tactile sensations begin to arise in Miriam’s mind and body that give her information about the person. Recently, when working with a client who had a dog, I smelled something foul. “Does Chumley have bad breath?” I asked and it turned out that Chumley was in her lap, panting out his halitosis. And like Miriam, I get symbols, as if I have a personal tarot deck in my head. When I see hands playing the childhood string game of Cat’s Cradle, it tells me that the client has an enmeshed relationship with his mother. A shovel against a starry sky tells me that the person is a night binger. Sometimes I actually get a pain just where the person is hurting. The other day, I limped to the phone with shooting pains in my right knee. I asked the client, “Does your right knee hurt?” He told me he was scheduled for a knee replacement. The pain in my knee stopped immediately. And I’m sure his pain will too after several months. Like Miriam, I hear things—coughs, music, shouts that are more clues, all of which I have to interpret. Being a psychic involves a lot of the same gifts as being a writer—the ability to notice deeply and express what you see, feel, taste, hear. Q: One of the book's themes involves relationships from one generation to another. 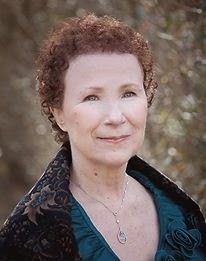 Why does the psychic gene seem to skip a generation in Miriam's family, and what impact does that have on her interactions with her family members? A: Any trait can skip a generation or two—musical talent, math prodigy, etc. In Miriam’s family, her Russian grandmother, her bubbie, was a psychic like mine. In fact, Bubbie looks just like my own bubbie who made herbal concoctions, potions, and salves, along with her predictions to cure her family and the neighbors. In Kaylee’s Ghost, Miriam’s bubbie mentored her, teaching her to see spirits in shining surfaces, how to spot the colors around people, to read omens. Miriam adored her. Cara seems to have inherited Miriam’s mother’s attitude along with her talent for clothing design. She wants to be a modern businesswoman, not a “babushka lady.” And Cara knows all too well the pitfalls of growing up with a mother who is psychic—who could know where her daughter was at any moment or what was about to happen to her. 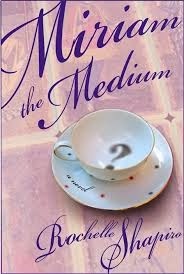 When Cara’s daughter, Violet is born and seems to be psychic, Miriam wants nothing more than to mentor her the way Bubbie had done with her. But Cara digs in her heels. As things become more and more fractious within the family, Violet, a brilliant and sensitive child, is torn between her mother and grandmother until Miriam’s gift backfires, bringing terrible danger to those she loves. Can Miriam put things right in time, or is it already too late? Q: How did you come up with the character of Kaylee? A: Kaylee is a distinct individual, full of her own quirks and foibles, yet, to me, she represents an alter-ego of Cara. Cara tries to differentiate herself from her mother, be her own woman, independent. Kaylee is ruled by her mother and has never been even been able to work, let alone have a career. Cara openly rebels. Kaylee can only act in secret. She also reminds me of those who carry new age thinking way too far at their own peril. Q: Kaylee's Ghost is a sequel to your first novel, Miriam the Medium. Do you plan any more sequels? A: Yes, I’m writing one with the psychic granddaughter, Violet, as the main protagonist. These characters live in me. I can’t let go of them and they can’t let go of me. A: I also write poems and essays. My poem, The Sticky Grid, has been nominated by the lit journal, Crack the Spine, for a 2015 Pushcart Prize. And I teach writing at UCLA Extension. 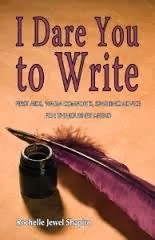 Writing is a way of life for me, not limited to any one form or genre. A: Being psychic is so much a part of me that tonight when a friend asked me if my daughter was a medium I said, “No, she isn’t even psychic.” My friend burst out laughing. She had a jacket in a size Medium that she was wondering if my daughter could wear.